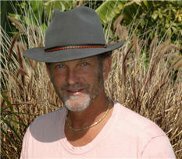 -Wednesday, Dec 11, 6pm EST: Mitchell’s radio guest today is Lee McCormick, co-author of Dreaming Heaven:The Beginning is Near (Hay House), the powerful JourneyBook, DVD and meditation that enables you to walk in the footsteps of Lee and his fellow guides as they take you on a journey to your authentic self by following the pathways of the great mystery school at Teotihuacan, Mexico, first created by the Toltec masters thousands of year ago. Lee is the founder of The Integrative Life Center in Nashville, The Ranch Recovery Center in Tennessee, and The Canyon Treatment Center in Malibu, California and has been a creative force in the Mental Health and Recovery scene for more than 15 years. He is also the executive producer and has a leading role in the documentary Dreaming Heaven. Lee has led many journeys to Teotihuacan, that astonishing place of power, and he has developed a far-reaching relationship with the mystery of the shamanic world that is present there. This will be Lee’s first appearance on A Better World Radio. Applying shamanic wisdom in addiction recovery, helping people uncover their personal story, Self and mission and guidance along the tricky path of life will be the main subject.